Product categories of 5QT Ice Bucket, we are specialized manufacturers from China, 5Qt Ice Bucket, Galvanized Ice Bucket suppliers/factory, wholesale high-quality products of Bar Ice Bucket R & D and manufacturing, we have the perfect after-sales service and technical support. Look forward to your cooperation! 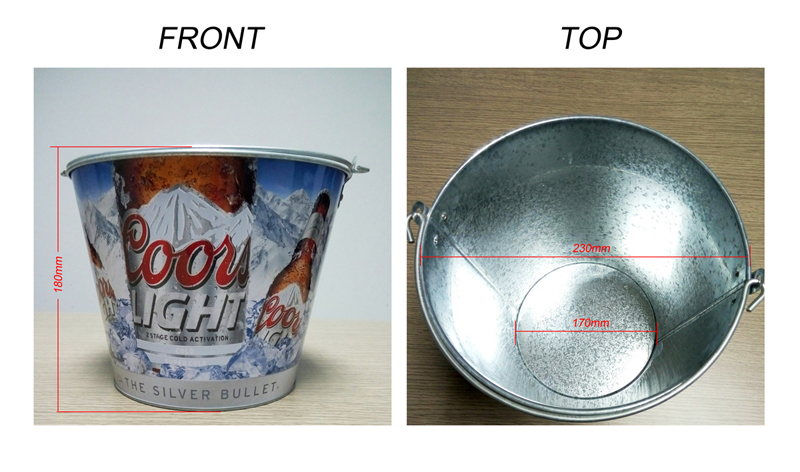 We have provided custom beer kegs for Coca-Cola, Corona, Carlsberg, etc. The sizes of the ice buckets are 5QT, 7.5QT, 10QT and 15QT and so on. 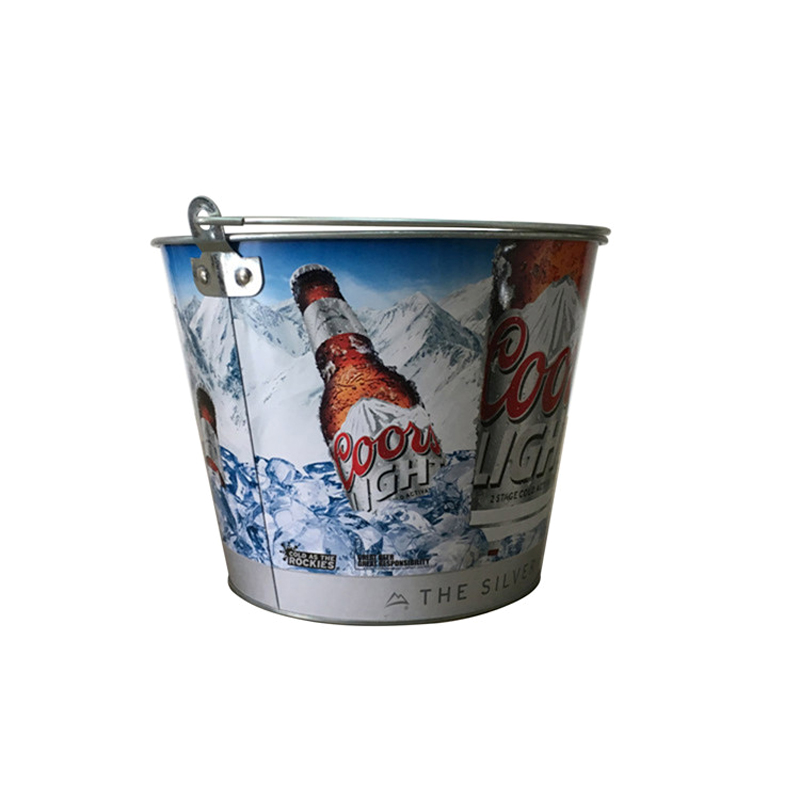 The round ice buckets are small and portable, with various types of handles and bottle openers, and simple operation. 1. Are you factory ? Yes. 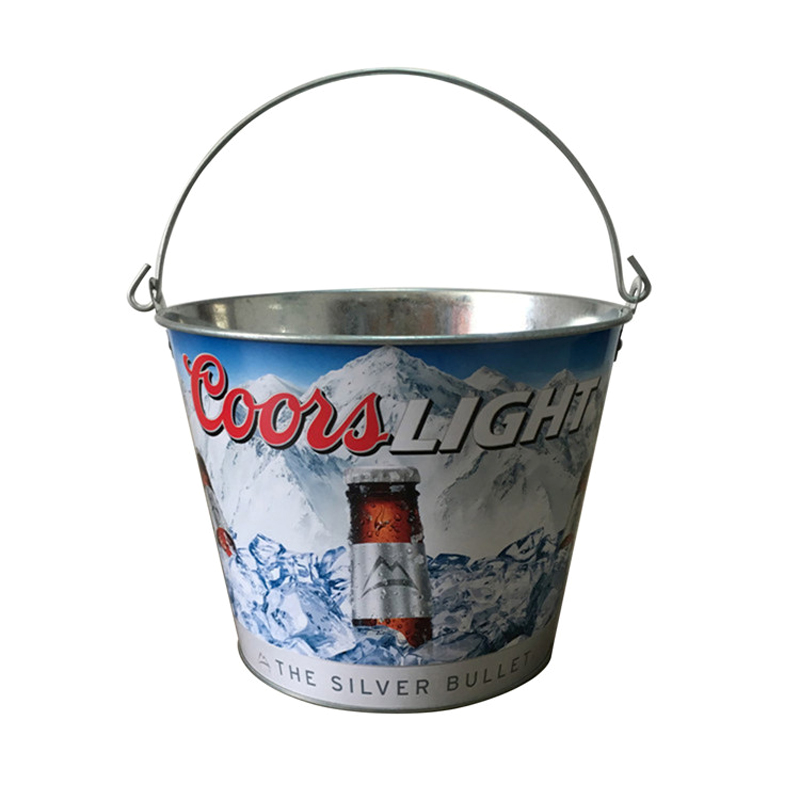 A professional ice bucket and tin tray manufacture. 2. Are your products the lowest prices ? EXW, the same quality, we are much cheaper than other suppliers. 3. Can we customized product ? 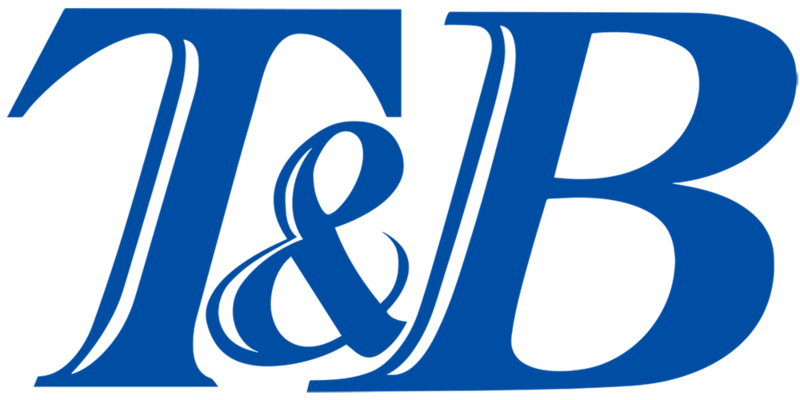 Yes, Tailor-made tooling for your own design is welcome. 4. What is the transportation ? If small quantity, we suggest that sent by Courier, If large amount, by shipping. 5. If goods are damaged in transit, how to do ? Products are inspected strictly before shipping, if damage, they can be replaced .